Unearthed Bribes Doom a Latin American Investment – Sapient Investigations, Inc.
As it turned out, Latin Node’s executives, also based out of Miami, had made some $2.2 million in payoffs to government officials in Honduras and Yemen to secure deals and guarantee favorable interconnection rates. They also went to considerable lengths to cover up their deeds in the company’s financial statements. Although eLandia later self-reported Latin Node’s violations of the Foreign Corrupt Practices Act (FCPA) to the Securities and Exchange Commission and the FBI in November 2007, the damage was done. Within a year of making the acquisition, eLandia wrote off impairment losses from the deal to the tune of $25 million and later paid a $2 million fine as part of a plea deal with the government. Two of Latin Node’s top executives, Jorge Carnados and Manuel Caceres pleaded guilty to felony charges and are facing multi-year prison terms when they are sentenced on August 22. “Foreign bribery, like domestic corruption, breeds instability and undermines democratic processes,” said Assistant U.S. Attorney Lanny Breuer said in announcing the indictments last December. “As this indictment and the previous guilty plea by Latin Node show, the Department is committed to holding accountable individuals and companies alike for alleged foreign bribery schemes.” Breuer wasn’t bluffing. The U.S. Department of Justice imposed $1 billion in FCPA penalties in 2010 alone, the most in the law’s 33-history. –Assistant U.S. Attorney Lanny Breuer. The saga of eLandia’s acquisition of Latin Node acquisition is a cautionary tale for businesses and private equity firms alike that highlights the critical nature of conducting vigorous and thorough due diligence investigations prior to closing deals overseas. With local corruption, intellectual property theft and unreliable financial statements endemic to many regions around the world, it critical to not only closely inspect the financials of a target acquisition company, but also to understand and assess country-specific risks and dangers before closing any deal. Beyond conducting financial due diligence, legal experts agree that specific FCPA due diligence is necessary for overseas acquisitions. Former federal prosecutor Michael Volkov, now with Mayer Brown in Washington, DC, conducted a Internet seminar in December 2010 in which he argued that eLandia would have been better served if its auditors conducted a risk-focused analysis of the countries that Latin Node was doing business in, assessing it in part by using Transparency International’s Corruption Index. The company should have also considered the firm’s reliance on foreign government license and approvals as well as any potential relationships between the firm’s staff and foreign officials. More detailed assessments of Latin Node would also have included what sort of FCPA compliance policy did the company have? What sort of compliance training did it conduct and what kind of FCPA compliance records did it maintain? Were they using third-party representatives to conduct their business overseas or were they handling it directly? Often completing these types of risk-based assessments require specialists on the ground who understand the country in question and can make the necessary inquiries with local sources and regulators. In the Latin Node case, company executives dealt directly with government officials in Honduras who were looking for bribes as soon as the ink dried on Latin Node’s contract with Empresa Honduran Telecommunications, known better as Hondutel. “Almost immediately after winning the interconnection agreement with Hondutel, Latin Node executives realized [they] needed to obtain a reduction in the termination rates in order to be more competitive in the Honduran telecommunications market,” prosecutors explained in the 19-count indictment. The company was told it could charge 21-cents per minute for a landline, and 23-cents per minute for cell calls, prohibitively high rates for the market. Latin Node CEO Jorge Granados and Manuel Caceres, the company’s vice president of business development, knew they needed to act fast if they were to successfully negotiate a reduction in the rates and secure the contract they had just won. Caceres sent Granados an email on May 16, 2006, that clearly demonstrated the pair knew they were faced with making outright bribes, according to prosecutors. According to prosecutors, Granados and Caceres made the fateful decision to play ball with Hondutel’s executives, perhaps wincing their way into what they saw as an entrenched culture of corruption that was indeed the only way to effectively gain access to that market. And once they were in for a penny, they were in for a pound. Granados, Caceres and others at Latin Node discussed the vital nature of getting Hondutel’s executives to sign a written agreement assuring them of the lowered rates they were now paying for, prosecutors said. They were concerned by the ‘discrepancy notices’ the Honduran firm was sending Latin Node that noted the lower rates they were charging had not yet been ‘approved’-something that could jeopardize its pending acquisition by eLandia International Inc.
Caceres discussed bribing their way out of the discrepancy notices as well by paying off Hondutel’s collections office. In the meantime, in lieu of a written agreement on the lower rates, Granados and Caceres submitted false billing statements to Hondutel that reflected lower volumes of minutes than the company actually used as a means of making good on the bribes they paid. To cover-up the bribe payments in anticipation of due-diligence by eLandia, the pair concocted fake consulting agreements that made bribes appear to be contractor payments. In return for the payoffs, Latin Node wanted rates of 13-cents-per minute for landlines and 14-cents-per-minute for mobile phones, and ultimately bought their way into a fixed and inclusive rate of 12-cents-a-minute. The bribes were derived from a volume formula, amounting to 1-cent for every minute of calls Latin Node transmitted on Hondutel’s wires. The volume-based formula gave Hondutel execs a clear incentive to increase the capacity allowed Latin Node. In an email from Caceres on September 5, 2006, he wrote “It’s important to send $60,000 for June and July” and provided the bank account information that he had been given. Additional payments were made to a variety of bank accounts, including another $100,000 bribe that was salted between four different banks. By October 2007, with eLandia’s auditors looming, Granados began ordering a Latin Node employee to delete emails relating to Hondutel transactions from the company’s servers, but it was too little too late to hide the subterfuge. On November 14, 2007, eLandia’s executives and board were briefed by its investigators that a variety of transactions at Latin Node raised the red flag of FCPA violations-the company promptly reported the discrepancies to the feds. In late December 2010, Granados and Caceras were indicted by a federal grand jury on 19 counts including FCPA violations and money laundering. 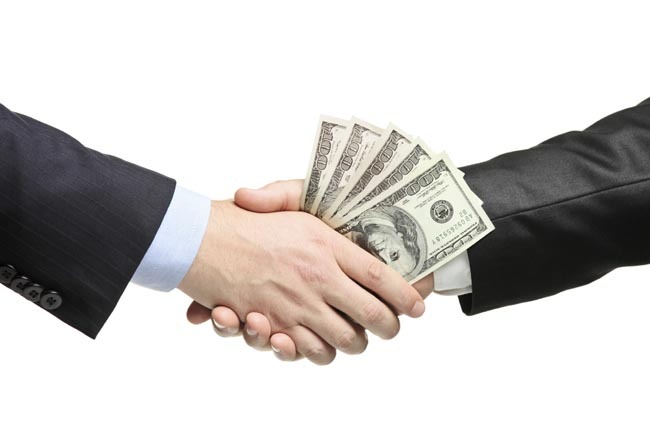 Both men took a deal and pleaded guilty on May 19 to a single count each of conspiracy to violate the FCPA. Latin Node’s implosion raises questions about what could have been known and when it should have been discovered by eLandia’s pre-acquisition auditing team. Clearly, ferreting out corruption and cooked books is often no easy task when there is an active conspiracy in the top echelons of a firm to conceal it. However, in a global economy cross-border deals are becoming commonplace and thorough due diligence will remain the best means to protect investors and shareholders from hidden fraud. If you’re interested in discussing overseas risk-based due diligence, please contact our experts at (310) 399-8200.